Build your dream fantasy team with this fun NFL-licensed football game. 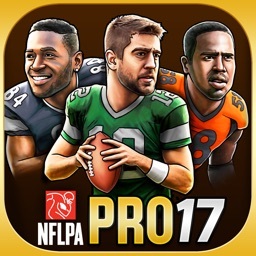 Officially licensed by the NFL, gamers can select from more than 1,800 NFL players to craft their perfect fantasy squad. Take control of the action and smash your way to victory. Throw It Deep. 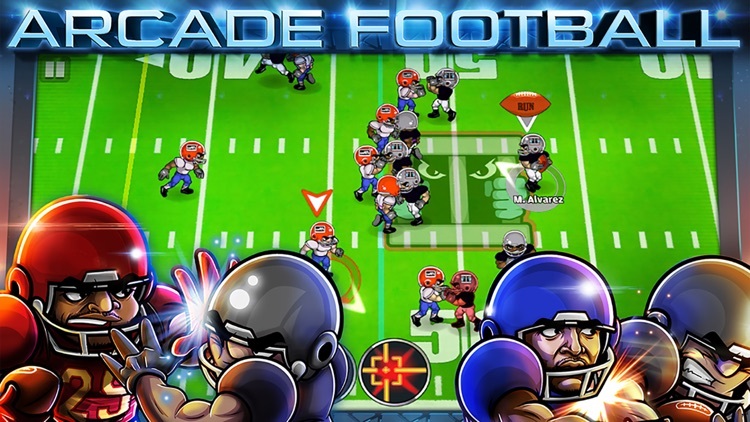 Are you ready for some arcade football? Cartoon characters, quick action, and a ton of scoring. That includes throwing it deep just by tapping on your intended receiver. Run To The Endzone. 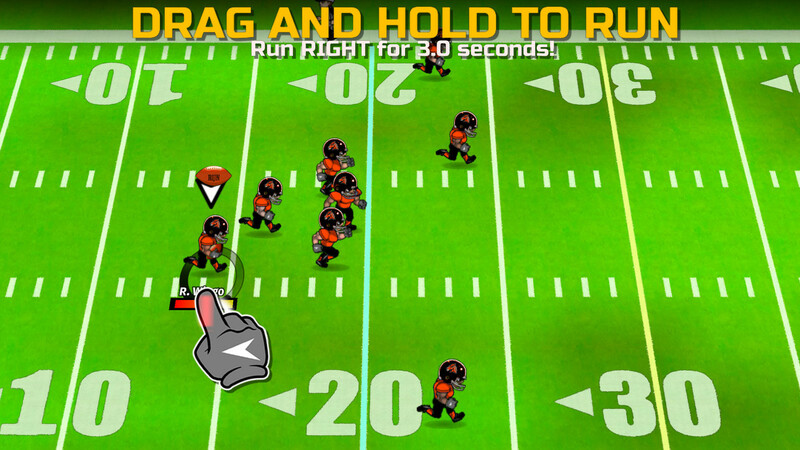 Run up the middle with killer spin moves, and devastating stiff arms. Play Some Defense. It's not all about offense. 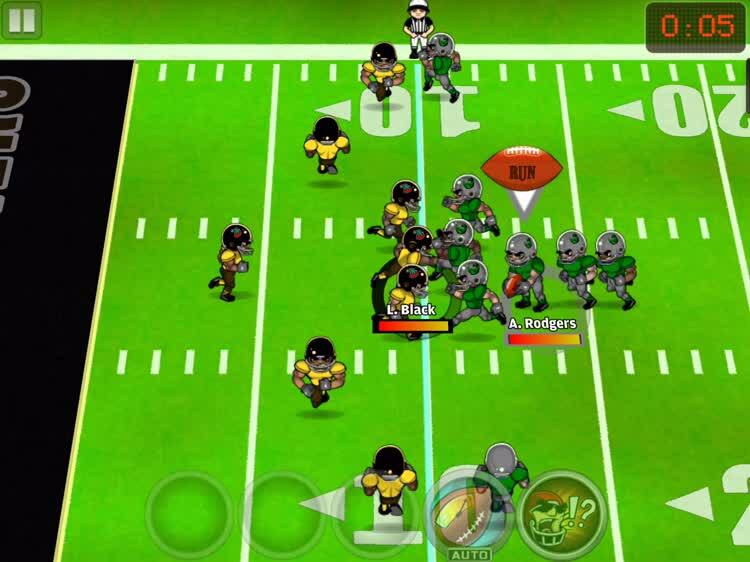 You can also play some defense including rushing the passer, and going for an interception. Once you’ve built, customized, and powered your team, it’s time to, as Run Games suggests, “take control of all the action on the gridiron and fight your way to the end zone.” To do that, you basically have to use simple touch-optimized controls for running, passing, spinning, and tackling. Enjoy NFL football. Like a more arcade type of sports game experience. Are looking for true multiplayer action. 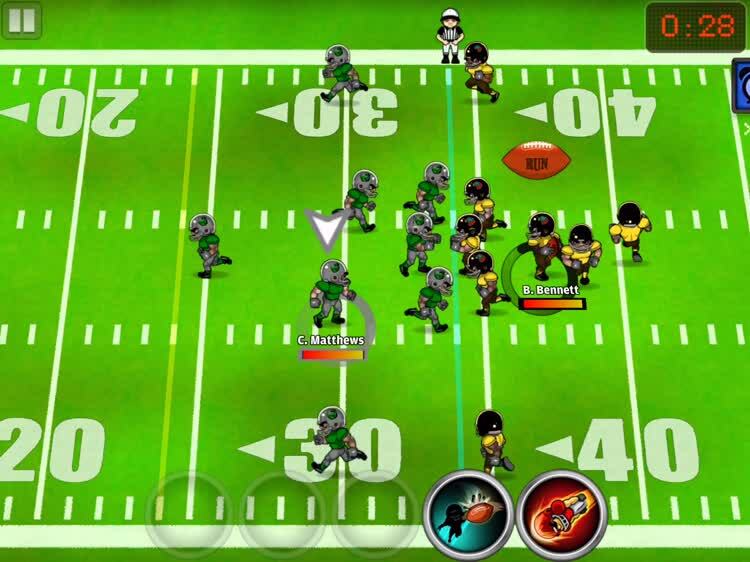 Enjoy more of a real-life simulation approach to football like the Madden series. 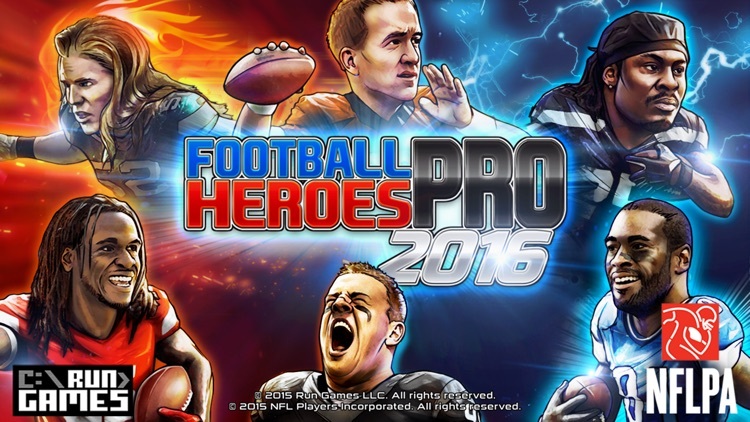 Football Heroes PRO 2016 is a great way to experience football action in a arcade-type like environment. 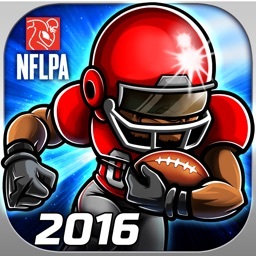 Football Heroes and the NFL Players Association are back for a whole new season of the hardest hitting arcade football game in the universe - Football Heroes PRO 2016. 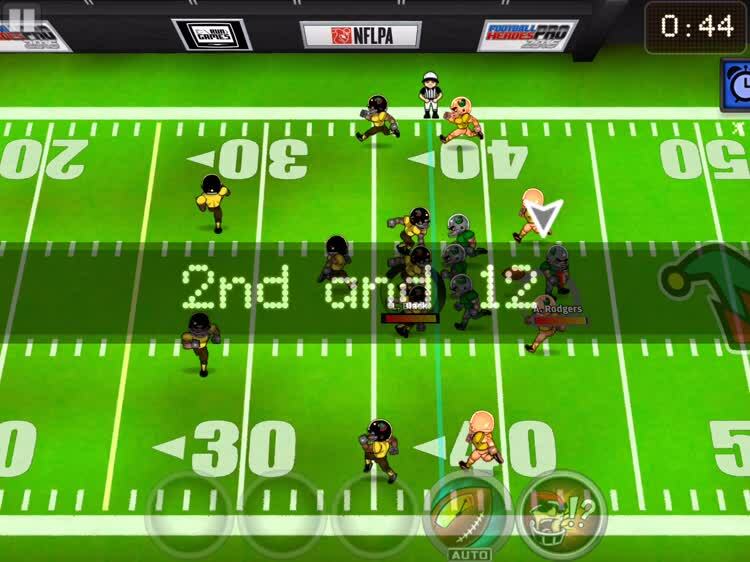 Take control of all the action on the gridiron and fight your way to the end zone using skill, strategy and special moves to smash the competition, level up and bring home the win. Draft your favorite players to build the ultimate football team by selecting from more than 1,800 active NFL Players. Football will never be the same again! 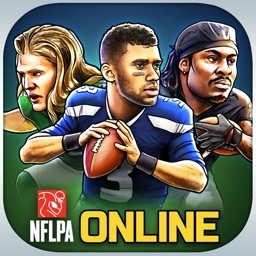 > Choose from over 1,800+ active NFL Players, including the 2015 Rookies. Each player has their own special abilities, attributes and player photo. 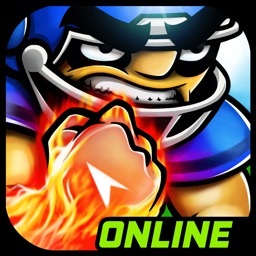 > Take on players from all over the world in asynchronous online multiplayer! Join a league and rank up to become the League Legend. Win rewards that include player decks, coins and much more! > Simple touchscreen controls let you control ALL the action on the field: run, pass, spin and tackle -- all at the touch of your fingertips. 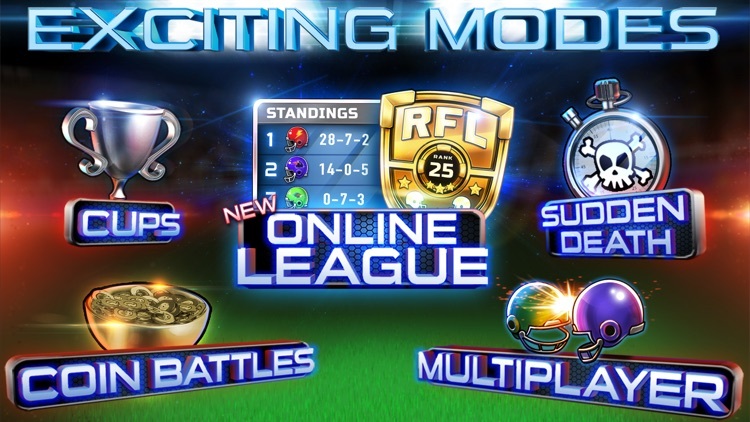 > Game modes that will keep you coming back for more: 2015 Cup Mode & NEW 2016 Cup Mode, Quick Match, Sudden Death, Coin Battle and NEW League Mode! > Play head-to-head over Wi-Fi or Bluetooth. 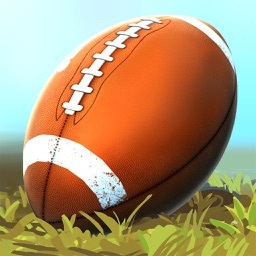 > Level up your players’ abilities by catching passes, making tackles and scoring touchdowns. > Collect your favorite NFL Players and add them to your starting roster. > Customize your team - upload a logo, customize team colors, city and team name. 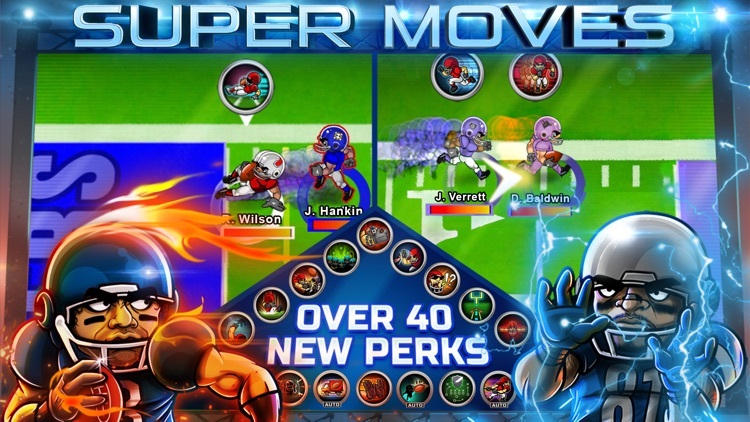 > Collect your favorite NFL Players, each with their own unique abilities. > Collect rare cards with custom art. > Over 80 incredible super moves including 40+ ALL-NEW Moves such as Fumble Tackle, Anti Counter, Power Push, Distraction and tons more! > NEW Auto Perks - These perks will get you out of danger without the press of a perk button. Auto Speed Boost, Auto Spin, Auto Super Block and Auto Big Push are just a few of these powerful new perks. > Cross-device syncing: play with the same team on your smartphone or tablet. > No paywalls or timers. © 2016 Run Games LLC. All rights reserved. © 2016 NFL Players Incorporated. All rights reserved. 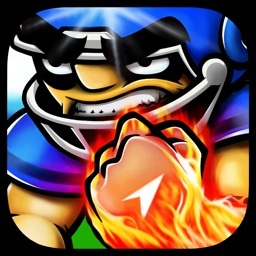 Football Heroes® is a registered trademark of Run Games LLC. All Rights Reserved. This product includes software developed by the OpenSSL Project for use in the OpenSSL Toolkit.(http://www.openssl.org/). This product includes cryptographic software written by Eric Young ([email protected]). 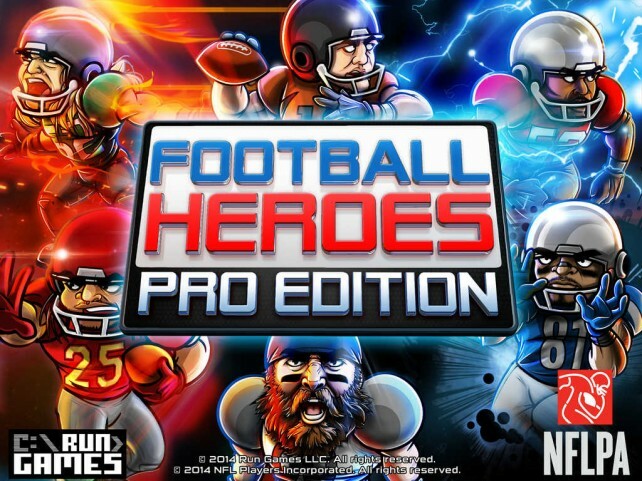 Football Heroes: Pro Edition features the virtual versions of more than 1,800 active NFL players.